The error occurs because sap.suite is not loaded. 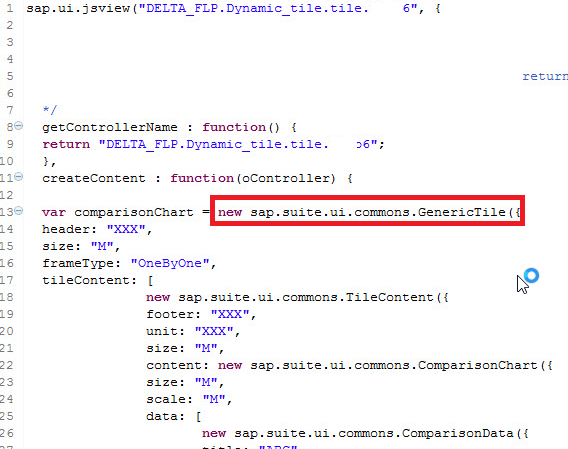 The code examples shown on the Creating custom tiles with SAP HANA UI Integration Services (UIS) are done as XML view. The xml namespace is parsed by the XML preprocessor and the sap.suite.ui.commons lib is loaded automatically. If a JsView is used, this step needs to be done manually. This loads the suite-ui-commons lib.